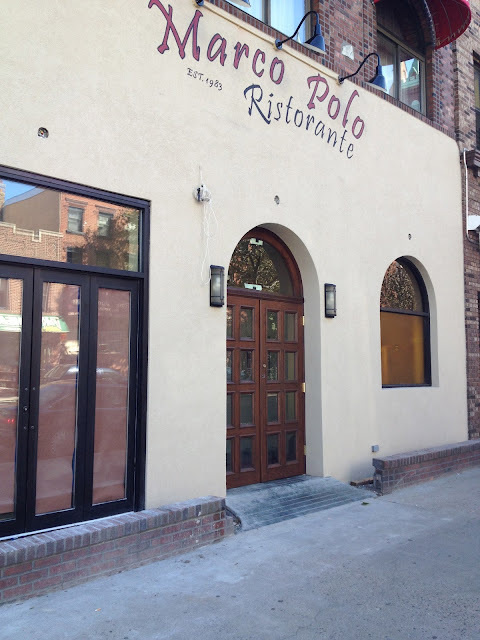 Marco Polo Ristorante, the Carroll Gardens landmark that is undergoing a makeover, has partly revealed its new look. The faux fieldstone frontage has been removed in favor a faux hacienda thing. Not sure if it's better. Just different. 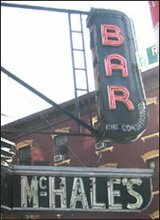 The subdued hand-painted sign, however, is a major change from the former red neon. I assume there's an awning on the way. I think it is better. Imagine for a moment the opposite: They go from faux-Mediterranean to the green awning. That green awning was the epitome of sameness. Don't tell me now you're for keeping symbols of conformity just because they're being removed! This design is more earnestly Italian (or trying to be). Although I agree it does look kinda Mexican. 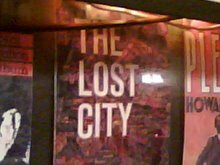 Lost City Asks "Who Goes to John's Pizzeria?" Lost City Asks "Who Goes to El Quijote"?